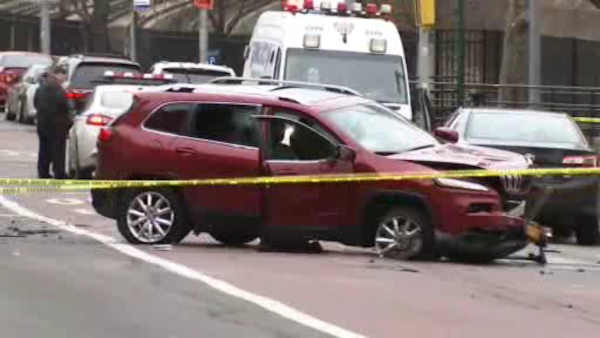 NEW YORK (WABC) -- Community leaders in the Bronx will be speaking out against violence Monday after a multi-vehicle crash and shooting over the weekend. Police say two men were sitting in a car on Webster Avenue Sunday morning when someone shot them. As they drove away from the scene to escape, they hit a livery cab. 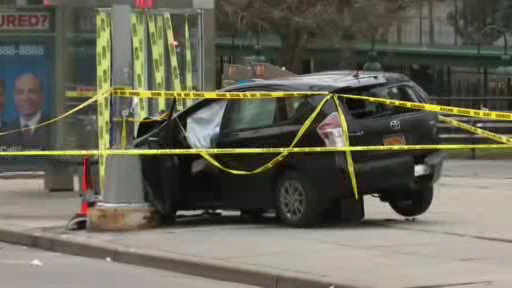 That driver then slammed into the Fordham Road bus stop. The shooting victims, a 35-year-old man and a 19-year-old man, are expected to survive. The livery cab driver was not hurt, and there were no other injuries. 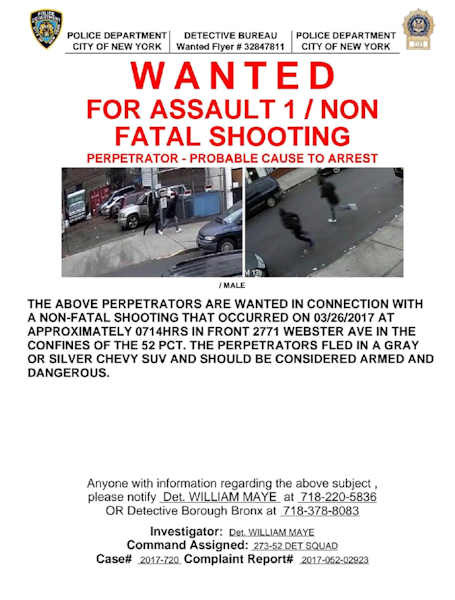 Police released photos of the vehicle and suspects wanted in connection with the shooting.